What is the purpose of the Multipurpose Containers? 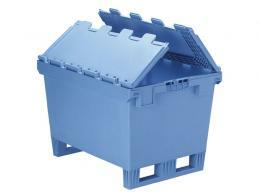 The multipurpose containers are designed for carrying heavy items with each container having a load capacity of 75kgs. The bottom of the container is ribbed to HELP prevent products from sliding around while being moved. They can also be ordered with hardcover lids that will secure the contents and prevent them from being damaged by anything that gets placed on top of container. Just in case heavy items are being transported, the containers can also be ordered with fork shoes so they can be lifted with a forklift as opposed to by hand; however, they do have convenient handles on the side for individual transport. This product is ideal for warehouse situations where people are going to be moving large quantities of products with a forklift. The multipurpose containers can be stacked on top of each other and moved all at once with a forklift. They could also be used by individuals who need to store heavy items in their garage or storage unit and want them to remain safe while they are in storage. 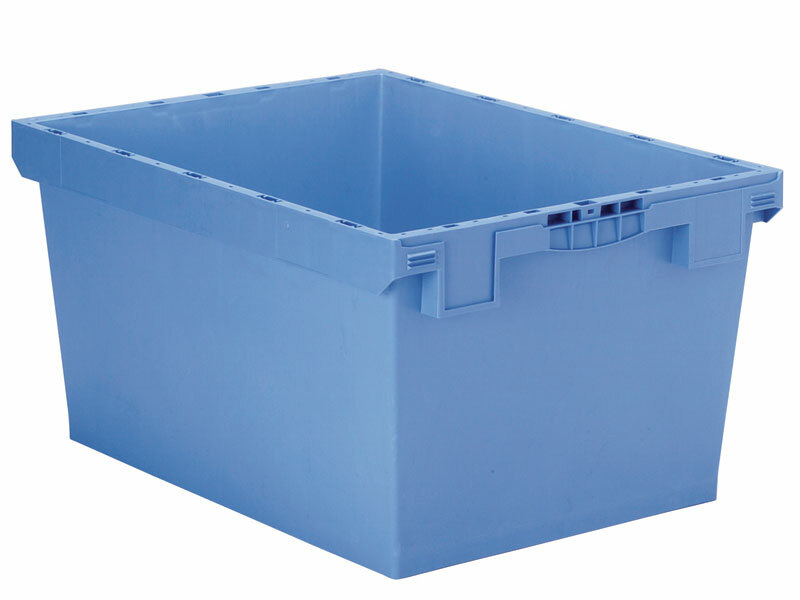 They are designed specifically for long-term use and will not wear down as fast as other containers might, so they are perfect for use in a storage unit that’s not climate controlled or in a warehouse where they will be used over and over. The multipurpose containers could be used by employees in a warehouse, people who plan on keeping items in a storage unit for extended periods of time, or those who need a convenient way to move heavy items safely and securely. The handles make the containers easy to pick up and move on their own, and the fork shoes make them easy to transport when they are stacked high. 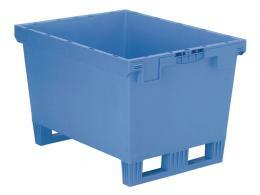 They could be used in small numbers by individuals or in large numbers by warehouse employees. 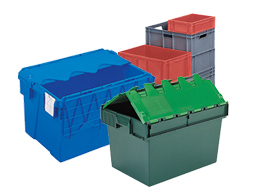 These containers come with a five year parts and labour warranty, because they are designed for long-term use. They are nest-able, meaning they can be stacked inside of each other when not in use. They are also stackable, which means they can interlock when they are full of contents without any worry of the stacks being knocked over easily.